If it wasn’t for digital advertising revenue, the radio industry would be flat as a pancake. That’s the key headline from BIA/Kelsey’s 2017 Investing In Radio report, set for release on Tuesday morning (3/28). Online radio dollars are set to bring the industry another 0.9% in total local ad dollars in 2017, putting radio’s total share of the total local advertising pie at 10.5%. Radio’s over-the-air share local ad dollars in 2017 stands at 9.6%. That puts radio behind online/interactive (12.5%), and total television (14%). The silver lining for radio is the rate of growth for digital advertising income at U.S. AMs and FMs, with the industry reporting a 14% increase in online revenue in 2016. In contrast, there was “only a slight bump” in over-the-air income. The bottom line: Overall industry over-the-air advertising revenue stayed relatively flat at around $14.1 billion in ’16. “In an age where consumers have many entertainment choices, local radio maintains its strength and popularity in the marketplace among national and local advertisers,” said BIA/Kelsey SVP/Chief Economist Mark Fratrik. To little surprise, Hubbard Media’s all-news WTOP-FM 103.5 in Washington, D.C. is the nation’s top revenue-generation station. It took in some $67.5 million in advertising revenue. The News/Talk category experienced an overall improvement in 2016, likely due to the 2016 election season. Fratrik says online revenue will again drive radio in 2017, with online up about 12% and over-the-air revenue increasing by less than 1%. 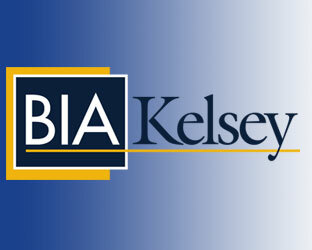 BIA/Kelsey, as do many industry observers, believes 2017 is more promising than last year for radio station transactions. In particular, Fratrik believes Entercom’s tax-free merger with CBS Radio will spur new deals. In 2016 just 556 station sales were seen, representing nearly $500 million in transactions across the industry.